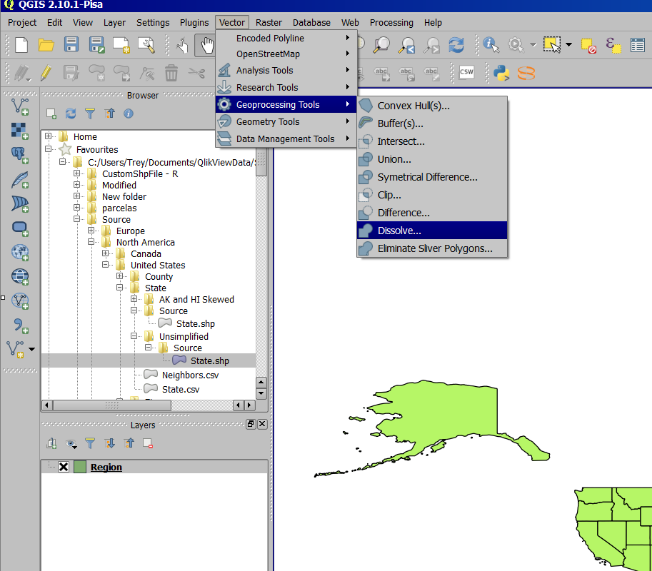 QlikMapsQlikMapsGeocoding and Custom Polygons QGISHow do I create custom boundaries and use them with QlikMaps? 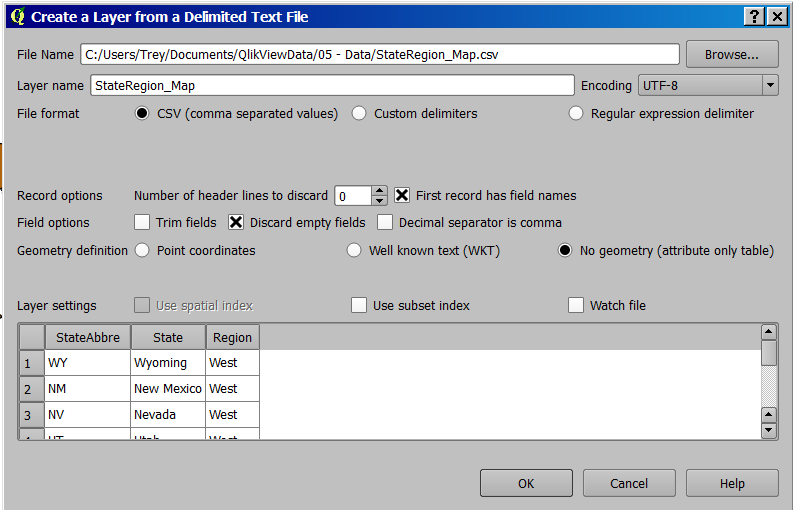 In this walk through we will join a State-to-Region file with a State shapefile that has geographic boundary data. We will need to join on a common field, so it may be necessary to massage your data before joining. 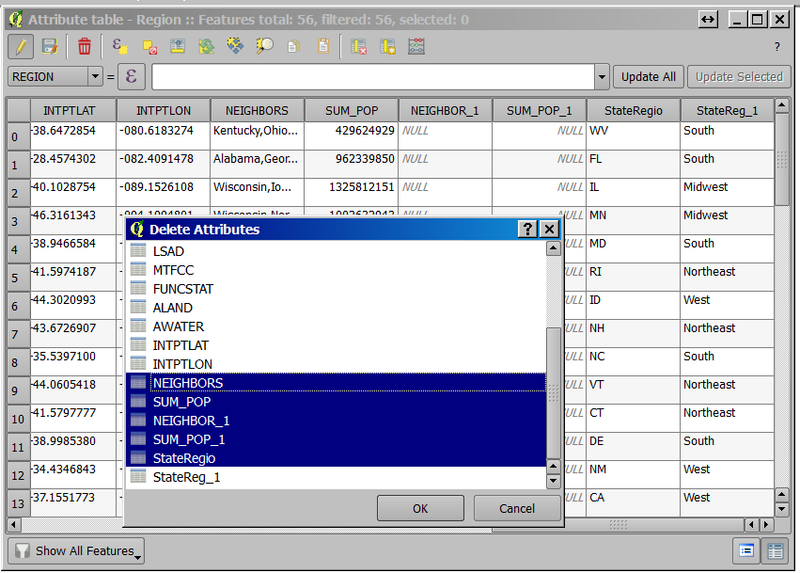 The State-to-Region file used in this tutorial was created with the State.qvd file available on QlikMaps.com/download. You may choose to use any file you would like, but if following along with this tutorial, copy the following code in to a QlikView script. Update the file paths and reload. The State-to-Region.csv will serve as the crosswalk, or mapping file, for our custom Regions. NOTE: This tutorial uses one of our provided shapefiles to provide geometry, but you can also use your own geometry from your own shapefiles or KML files. Shapefiles provided by us are available at our discretion, upon request. In QGIS, search the official repository for the Analytics8 Encoded Polyline Exporter plugin. 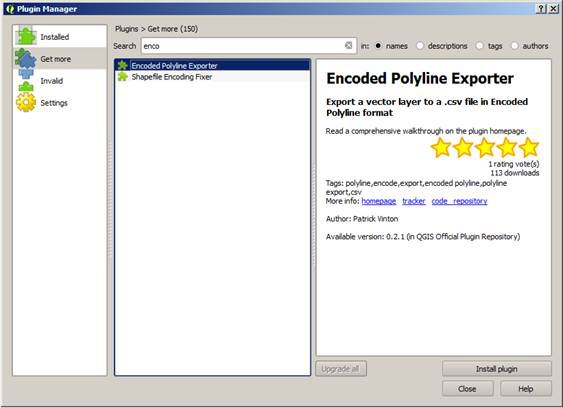 For a detailed walkthrough, read the How do I install the Encoded Polyline Exporter plugin for QGIS? page. Add the unsimplified State.shp file by going to Layer -> Add Layer -> Add Vector Layer. NOTE: It is important that you use the large, unsimplified version found on the download site so no fidelity is lost in later steps. Simplification may cause anomalies or "dirty" polygons upon dissolving. NOTE: You can also add your own shapefiles or KML files instead. NOTE: Before you do any geocoding, you should always create a spatial index for each layer you are going to work with. Do this by right-clicking on each layer, going to Properties -> General -> Create spatial index. This will greatly increase the speed of your geocoding processing. Add the crosswalk file by going to Layer -> Add Layer -> Add text delimited layer. This section may be skipped if your crosswalk file is working. where "String" is repeated for every row in the csv. 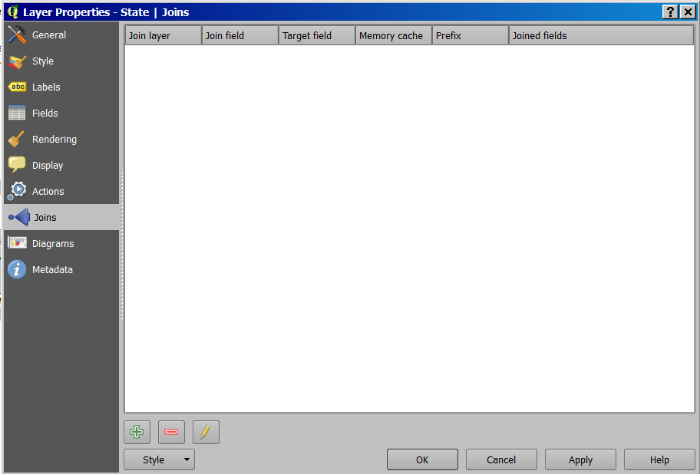 Once done, the csv may be used as normal. Join layer is the name of the crosswalk file we want to join to the shp file. The Join field is the name of the field in the crosswalk file that corresponds to the same field in the shp file. The Target field is the name of the field in the shp file that matches the Join Field. NOTE: If you do not know the name of the fields needed, right clicking on the layer and looking at the attribute table. The joined data can't be used to create custom shapes until the entire new .shp file is saved. 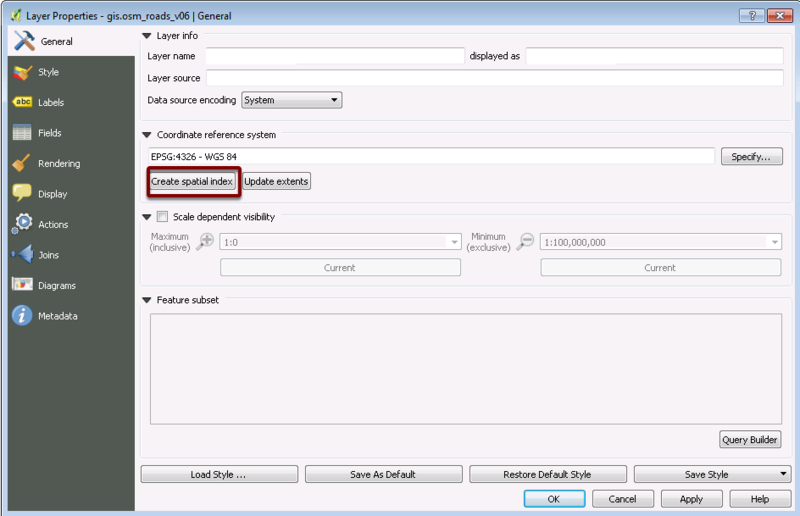 Ensure that 'Add saved file to map' is checked. 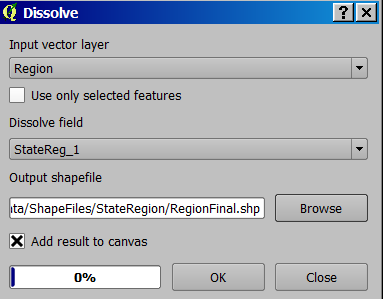 Right-click on the 'StateRegion_Map' vector layer and 'State vector layer' and select 'Remove'. We do not need these anymore, so this step frees up some system resources. If working with large data sets you should remove any data that is not necessary going forward. 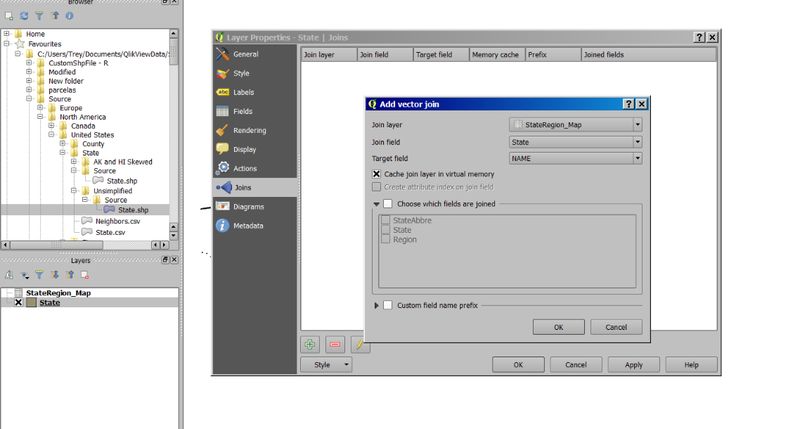 Data can be removed by right clicking on the layer and editing the Attribute Table. Now we want to merge all polygons together that share the same value in the “Region” field. This process is called “dissolve”. Go to Vector -> Geoprocessing Tools -> Dissolve. Make sure that “Territory” is set as the “Dissolve Field”, specify and output file name, select “Add result to canvas”, and click OK. This step will take several minutes to complete. Right-click on the “Region” vector layer and select “Remove.” We do not need this anymore, so this step frees up some system resources. Go to Vector -> Encoded Polyline -> Encoded Polyline Builder to create a CSV file that you can load into your BI tool to use with QlikMaps. 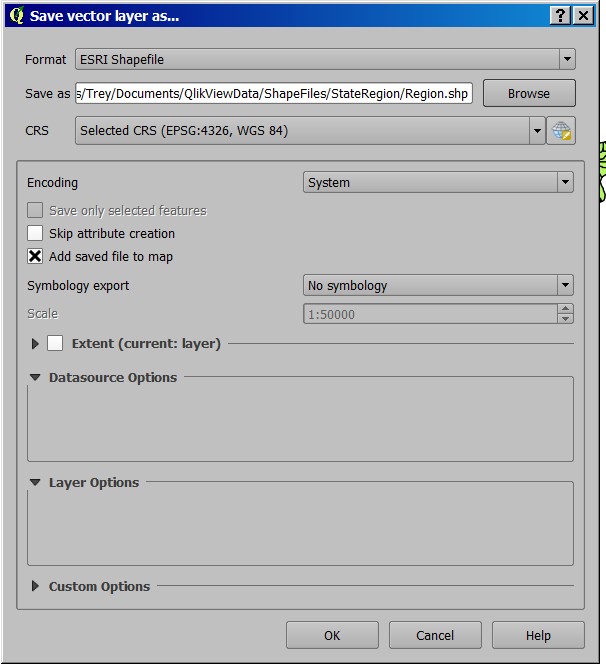 For a more detailed walkthrough, read How do I use the Encoded Polyline Exporter plugin for QGIS? Prev: How do I use the Encoded Polyline Exporter plugin for QGIS? Next: How do I create a relationship between points and territories not already found in my data set?